Welcome to Guidance, Private Sanctuary’s source for tips and techniques for the Pathfinder Roleplaying Game, written by Everyman Gamer Alexander Augunas. Today, we’re going to be talking about the Christmas Tree Effect. We’re only one week away from Christmas Eve, and you know what that means! Today, we’re going to talk about another one of those buzz-word gamer topics, one that is usually reserved specifically for Roleplaying Games such as Pathfinder, Everquest, Destiny, Rift, or World of Warcraft. That’s right, folks! Staying in-theme with the season, today we’re going to talk about a phenomena called the Christmas Tree effect. What is the Christmas Tree Effect? For most players, these are the items most feverously sought after because they provide something that is extremely rare in Pathfinder: static, numerical bonuses to important rolls. It should come as no surprise that items that provide a static bonus on d20 rolls would be widely deemed as being necessary in a game that is completely built around the d20. And these six items form the core of the argument against the common-ness of magic items in Pathfinder. Now, as any veteran gamer knows, the bonuses provided by the Big Six items can make or break a character. These are often the first items that you start to scrape together the funds to purchase because of their effects. But according to those who cry foul on the Big Six, that’s part of the problem. The lowest tier of these items are cheap and inexpensive, to the point where virtually any moderately successful adventurer could end up wearing the wealth equivalent of a small town on their body at all times. And because they have such generic benefits, they aren’t the exciting magical treasures that are often seen in fantasy tales. They’re just swords and armor of algebra. Therefore, the argument can be made that generic but necessary magic items devalue the concept of magical equipment as a whole. What’s worse, these items can often psychologically force players who would normally take a cool, fun treasure that is somewhat specialized into taking a more generic treasure because the benefit is more applicable. Come on, now. We’ve all done it. How many people have tossed their headband of the seven truths for a headband of mental perfection because the bonuses were better? Should We Chop Down the Christmas Tree? So with all the negatives that come from these generic items, the question becomes, “Should we get rid of the Big Six and make magical treasurers rarer with more meaningful effects?” That question is a very difficult one to answer. On one hand, I understand the sentiments of wanting magic items to be important. 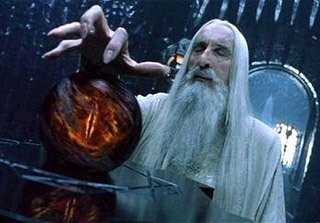 In Tolkien’s Lord of the Rings, the entire setting is built around a set of magic rings. With the exception of the oddball weapon or two (such as Frodo’s Sting), there really aren’t any other magic items in the setting, which makes the ones that exist all the more special. On the other hand, Pathfinder is mechanically built around the assumption that the players will have a good number of magical bonuses at their disposal. Removing those magic items makes encounters arduously more difficult. Remember back in my second article where I talked about PC Wealth adding a +1 to CR? Not giving the PCs PC-equivalent wealth should theoretically make all encounters 1 CR tougher by virtue of reducing the PCs’ APL by 1. And yet, is that even fair? When you get right down to it, nearly all of the Big Six items gear themselves towards martial characters rather than spellcasters. Traditionally, spellcasters only concern themselves with a cloak and a stat-boosted headband for spellcasting, so dropping the Big Six disproportionately hurts martial characters to spellcasters; you’re literally making the game easier for the classes that don’t need the extra support. A popular suggestion that I often see to fix this is to find a way to grant the Big Six’s item bonuses passively. To bake them in to a sort of a pseudo-progression that allows the PCs to gain the benefits they need without magic. To which I reply, “What’s the point?” Where are these magical benefits coming from? Are you as the GM going to keep track of your NPCs and make sure they have the same benefits as well? At that point, what’s your purpose for taking away “common” magic items? What are you accomplishing by taking those items away then? The fact of the matter is that there’s no right or wrong answer here. Plenty of games use equipment as a means of character progression; you expect an experienced hero to have better equipment than a novice one, and magical gear is the main way that we as GMs and PCs can make equipment better. On the other hand, one must stop and wonder where all of this super-expensive magic gear is coming from, as I wondered in my Magical Item Store article. Personally, I like magical gear. I don’t see a problem with the “Christmas Tree Effect” and I don’t plan on doing anything to change how the game’s treasure works. I’ll alter where my PCs purchase treasure from and I’ll work to make items more interesting, but I’m personally a huge fan of high magic settings and that’s where I aim to keep my players. What do you think about the Big Six items and the Christmas Tree Effect? Are they a problem that should be expunged? A necessary evil? A beloved part of the game? How do you handle the acquisition of gear by your PCs and NPCs? Leave your answers and comments below, and I’ll see you back here on Friday for a new Iconic Design article, plus a special announcement about next week’s articles. Take care! Alexander “Alex” Augunas has been playing roleplaying games since 2007, which isn’t nearly as long as 90% of his colleagues. Alexander is an active freelancer for the Pathfinder Roleplaying Game and is best known as the author of the Pact Magic Unbound series by Radiance House. Alex is the owner of Everyman Gaming, LLC and is often stylized as the Everyman Gamer in honor of Guidance’s original home. Alex’s favorite color is blue, his favorite Pathfinder Race/Class combination is kitsune Christmas Tree because it allows entry into the Kringus Prestige Class. Next Article Iconic Design: He’s Strong to the Finish ‘Cause He Eats His Spinach! The much more difficult, and probably better, solution would be to reduce the AC, HP, Damage, Attack etc. of monsters in Pathfinder, so the bonuses are no longer needed. Honestly, I would rather my magic items be cool and flavorful, than just static bonuses. Some items, however, make certain builds possible, which is unfortunate. For example, a Blinkback Belt or a Belt of Hurling make many throwing builds mechanically function, instead of being mechanically unfeasible, or too expensive to maintain. The 3.5 Christmas Tree is old and dried up. The leaves are all brown and are shed about the living room. It smells a bit. The once colorful bulbs don’t light up anymore. All of the ornaments are broken on the ground. Have I taken this analogy far enough yet? It’s time to put it in the compost heap. Headbands? Four dudes roll into town all wearing headbands. They look crazy already. Cloaks? Didn’t Pixar’s Incredibles teach us anything? Belts? How am I supposed to play my saggy pants rogue? Some homebrew rules have fixed this problem. The Big Six can easily be replaced through character progression. There are already systems in place for this via ability score increases, base attack bonus progression, and saves progressions. AC bonuses could be granted similarly. To make converting easier, we could just reduce the wealth by level to compensate for the obsolete Big Six. This also helps alleviate some of the ridiculous “world” economy issues with adventurers running around with all those GPs. The benefits to these changes? GMs and players can worry less about wealth by level and equipment issues just to remain effective in combat. The belt and cloak slots can be freed up for other items that actually have cool effects. The headband is no longer necessary so we all adventurers don’t look like they are in some kind of headband society. Weapons and armor can be enhanced with cool abilities rather than an increased chance to hit. Sorry. That rant went on longer than I expected. I guess I’ve never played a character that had all 6 of these items. Ever. Usually, I have 1, 2 and 6. Then maybe at some point I may scrape together enough for 3, 4 or 5. My experience has never had these as ‘must haves’. Many are nice to have, great to have. One game I went 8 levels before I got a magic weapon. Perhaps my games and play styles are wildly different from a lot of the masses that inhabit the boards that came up with the Christmas Tree Effect.